Backed by three decades of construction experience, Vern E. Halverson founded Halverson Construction Co., Inc., in 1978. With his wife, Mary, and their dog, “Freckles”, rounding out the staff, the beginning years of the heavy/highway construction firm were conducted from the basement of the Halverson home in Springfield, Illinois. Vern poured every ounce of his career experience as a surveyor, layout engineer, superintendent, estimator, and project manager into those early years, giving the family-owned company a strong foundation upon which to succeed. As Halverson Construction’s reputation grew, the union company quickly became known for quality craftsmanship, integrity, a dedication to hard work, and sharing a culture of family values with their employees. 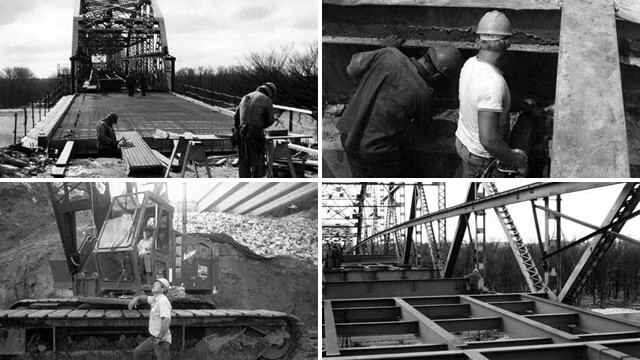 Likewise, the firm’s services began to grow and soon Halverson became a respected industry leader not only for highway work, but bridges, railroads, earthwork and pile driving, public works projects for state DOTs, and the U.S. Army Corps of Engineers. In 2002, Halverson expanded once again to add a commercial construction division, offering building construction services, including general contracting, project planning, construction management, specialty subcontracting, and design-build for all market segments. Today, Halverson Construction Co. Inc., maintains corporate offices as well as a complete in-house fabrication and equipment repair shop on a 10-acre site in Springfield along with additional offices located throughout the Midwest. With a sense of pride in our past, and an eye toward the future, Halverson Construction Co. is fully committed to building enduring relationships with our clients, and upholding the values of trust and integrity, instilled by our founder, Vern Halverson. Halverson Construction Co., Inc., is committed to exceeding the expectations of our customers by providing the highest quality craftsmanship. Our dedicated employees take great pride in utilizing their skills, knowledge and experience to deliver safe, timely and innovative solutions to all projects. Over the past 35 years, Halverson Construction has been recognized with numerous regional, state and local honors. Highlights of those achievements are listed here.